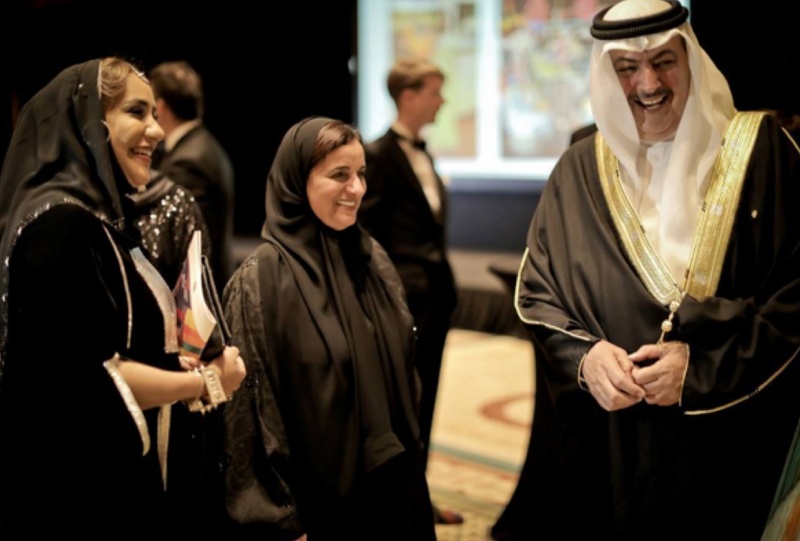 Royals From Around Europe Attend the Opening of the Exhibition, Convergence, in Dubai. 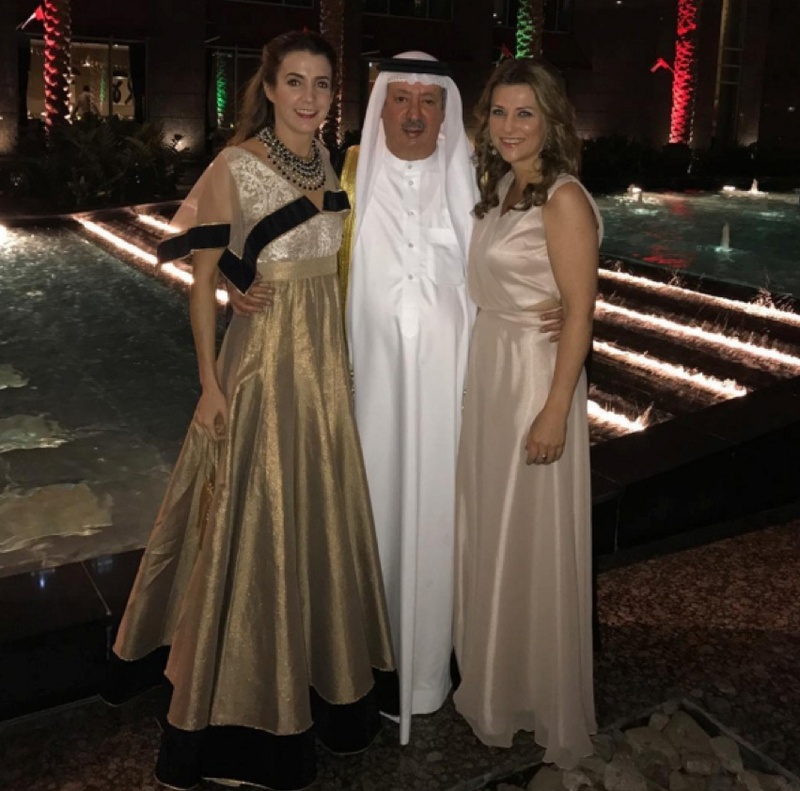 On the evening of November 29, 2016, Her Royal Highness Princess Tessy of Luxembourg, Her Royal Highness Princess Tatiana of Greece, Her Royal Highness Princess Martha-Louise of Norway, His Highness Shaikh Rashid Bin Khalifa Al Khalifa, Her Serene Highness Princess Alexandra of Sayn-Wittgenstein-Berleburg, and Her Majesty Gyalyum Sangay Choden Wangchuck of Bhutan, The Dragon Queen Mother attended the opening of the Royal Bridges exhibition entitled, Convergence, held at the Ritz Carlton Dubai International Financial Center in Dubai, United Arab Emirates. “…artistic forum that challenges the role typically assigned to royalty globally – but as artists themselves – and not merely patrons of the arts. Royal Bridges is comprised of leading artists from imperial, royal, princely and noble houses from around the globe, who are at the forefront of contemporary art, design, fashion and musical performances. Throughout history, art in its various forms has been a pursuit – not merely an avocation for monarchs, princes and princesses – yet their artistic contributions are more often than not, overshadowed by their own lineages. Royal Bridges steps in to fill in the gap and contend the stereotype of royal patronage with the dearth of artistic talent, which is often associated with ruling houses. “…bring together for the first time in the history of art, an exceptional mix of royal and princely artists from around the world celebrating contemporary art in the City of Dubai. Featuring a plethora of paintings, sculptures, jewelry designs and musical performances, Convergence considers global interchange in modern and contemporary art by providing a firsthand view at the work of twenty-first century royal and princely artists’ across disciplines who have proven professional record and international recognition. Previous (VIDEOS) Cheesy Movie Time! The Royal Romance Of Charles And Diana and Another Really, REALLY Bad Movie About the Couple. Next His Royal Highness Crown Prince Frederik of Denmark Visits a Construction Site.